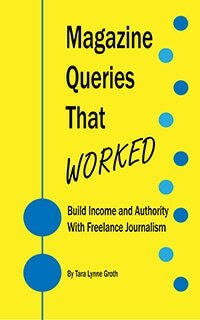 After announcing new guest contributor rates, I received an intriguing guest pitch from fellow freelancer Williesha Morris. How does a relocation affect a freelancer’s connections? A few years ago Williesha moved from South Carolina to Alabama. She needed to stay connected to her contacts in her former town, while at the same time making new connections in her new hometown. The decades I spent building a strong base of friends and contacts in my home state of South Carolina went through a massive upheaval when I moved away. I didn’t know where to go to search for new friends, and when I decided to pursue freelance writing again, I felt just as lost as I do when trying to navigate downtown without my GPS. Say yes without thinking. Last year was the first time Y’all Connect was held, and I wasn’t convinced I should attend. Sure, I knew other bloggers would be there, but I was rarely posting, and it was intended to be a corporate storytelling conference. At the time, I was still wishing for a client to pay me what I thought I was worth.I was just following along, because I knew my precious and few new friends were attending, and I wanted to be a part of something even newer than I was. Usually the day before and/or the day after a conference, I give myself a mental health day to recharge.So even if you’re not 100 percent sold on a networking event, go anyway. Force yourself to leave your comfort zone and meet other people. The fact that you’re new to the area is a great way to start a conversation. Became a mindful extrovert. Even though I’m actually an introvert, I make attempts to be social and interact with many people. When I’m feeling particularly shy, I start with using social media. This is how I’ve made multiple connections that led to this conference and several other networking opportunities. So far, I’ve made a nice dent into the local writing and social media community.Start with where your expertise lies. Don’t try to infiltrate multiple social circles at once. Get comfortable within one area and expand. Remember, it may have taken you years to develop the contacts you made in your previous city. Don’t try to rush relationships now just to make a quick career advance. Use “old-school” and “new-school” technology to stay connected with old clients (and others). Since moving to Birmingham, I’ve pulled out my good stationery and found a pen pal. I’ve also utilized Skype and Google Hangouts to talk with clients and colleagues from different parts of the world. I weaned myself into this area, since I’m not always comfortable meeting new people. While you may be tempted to not inform clients of an impending move, because you want the process to be seamless, notify them as early as possible. When you make that phone call or send that e-mail to clients, make sure the date’s set in stone. Wait until after you’ve signed the necessary paperwork, talked with your loved ones and found a good moving company. But don’t wait too long! Something will come up that will force you to let them know any way – you don’t get Internet access in time, you have to change phone companies. Something will come up. Let them know you will do everything you can to ensure there are no missed deadlines or delays. Keeping yourself busy creating new relationships when going through a massive, emotional change like a move is the best way to stay motivated in your writing career. Williesha Morris embraces her split personality as a writer, blogger and an administrative consultant/virtual assistant for hire. This means she loves using Microsoft Word. A lot. She also loves everything web and playing games and watching TV with her husband. Since her big move, she’s spoken at or assisted with several local groups, including WordCamp Birmingham and See Jane Write and written for Al.com and Birmingham Magazine. She’s also created a local event celebrating the 1967 Loving v. Virginia Supreme Court case that deemed interracial marriage bans unconstitutional. Thanks for having me! I’ve followed and admired you for a while, so this is a huge honor for me. I was just thinking how long ago I came across your profile and started following you. I’m glad we’ve been able to build our platforms and enjoy watching both of our freelance lives grow. Wade, YC has been so fantastic. Thank you for putting together such an incredible event!